Only 4 exclusive suites, each of them extremely different from one other and furnished with refined elegance and simplicity. 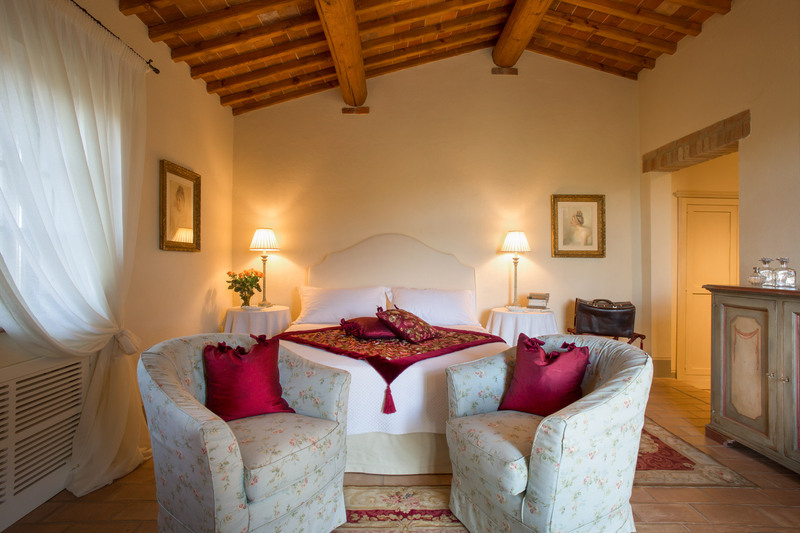 Luxury accommodations, exposed wooden beams, cozy corners, modern comforts and ultimate technologies. Terraces, pergolas and picturesque views full of green. Elegant and charming suite located in the former hayloft. From the wide terrace and the unshaded pergola, it offers a great view over the hills and the medieval village of Montefollonico. Situated in the old tobacco workplace. 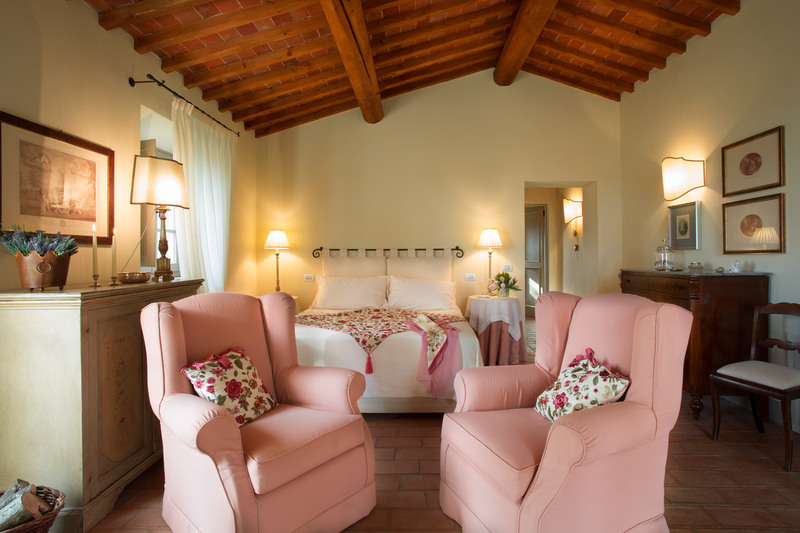 The suite “Le Civette” has a big bedroom with a living area and a terrace in the olive trees courtyard, the perfect spot to relax under the sun enjoying a peaceful view over the Tuscan hills and vineyards. Splendidly furnished suite located in the old tobacco workplace, with a living area and a private Mediterranean garden. 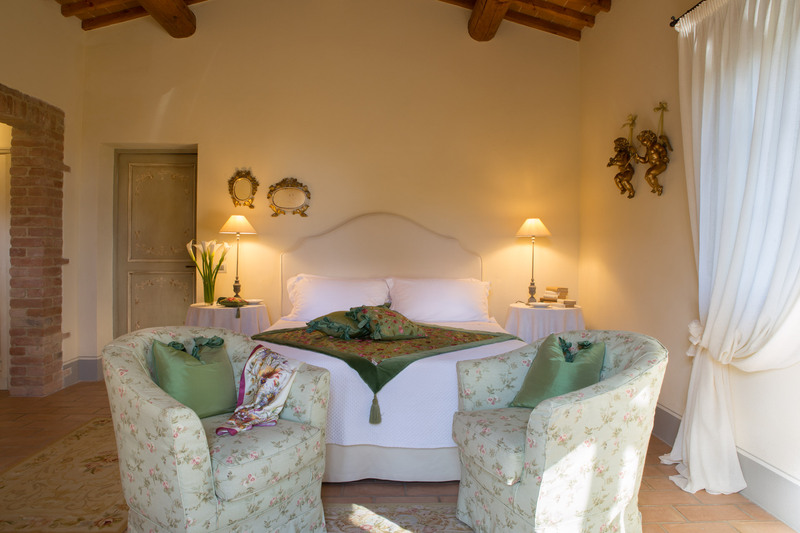 Suite with elegant bedroom, comfortable living area and private terrace in the Mediterranean garden. Located in the former granary.